Hooray! 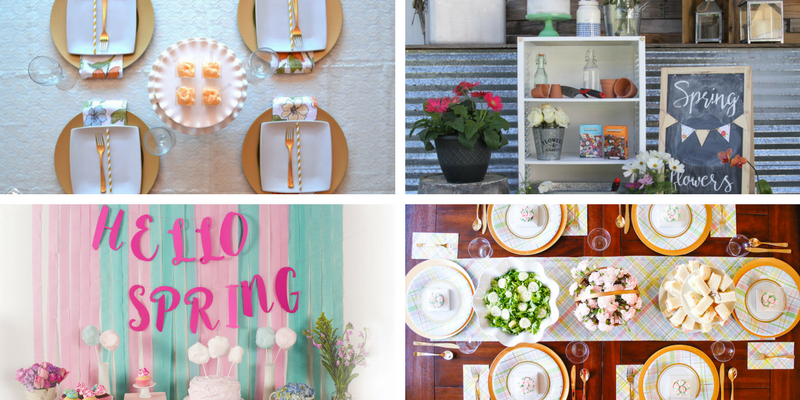 Spring is right around the corner, and today I'm joining seven other bloggers to bring you some fun and fresh Spring party ideas in our Spring Party Blog Hop! I love Spring. Birds chirping, flowers blooming, and my favorite holiday, Easter! 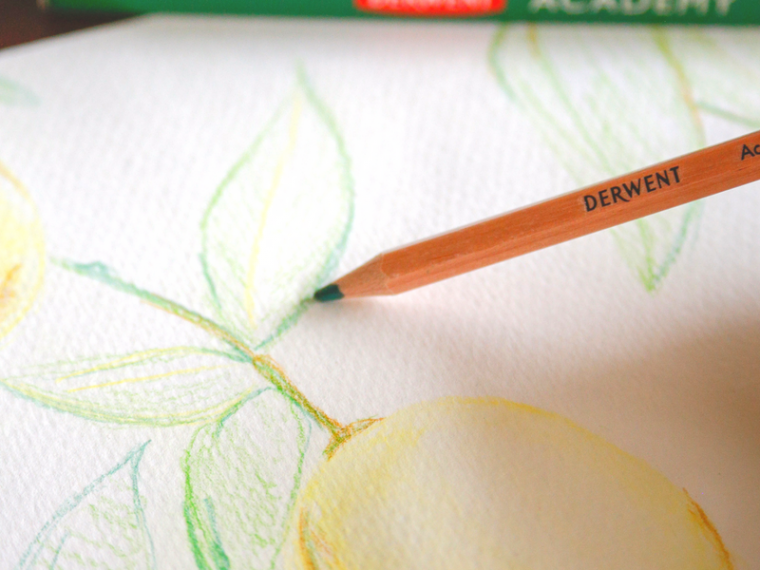 Over the next two weeks I'm going to be sharing several Spring parties and tutorials with you. 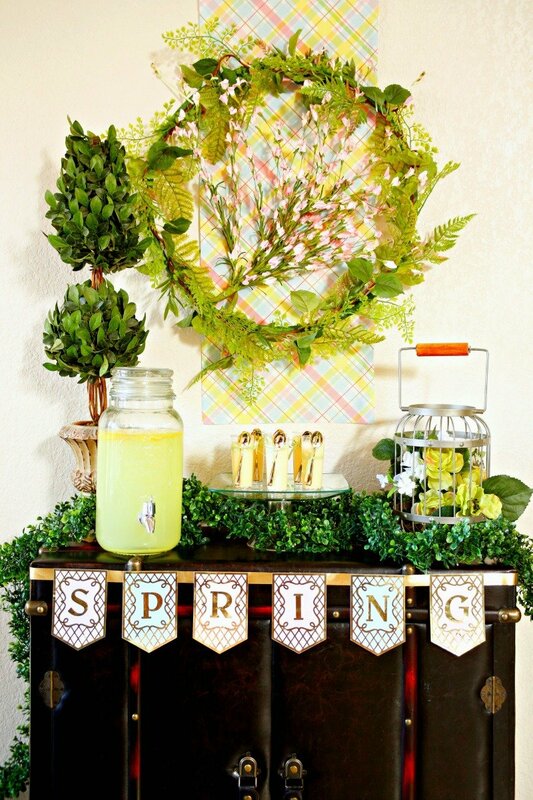 And like I mentioned above, this post is part of a Spring Party Blog hop. Just scroll to the bottom of this post to hop over the other parties. 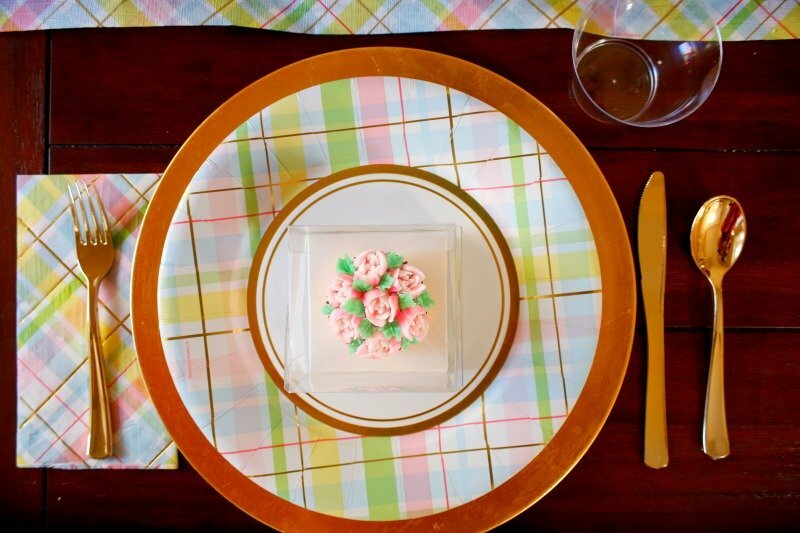 First up, I saw these paper plates, table runner, and matching napkins at Walmart and decided to base my Spring party off of these colors. 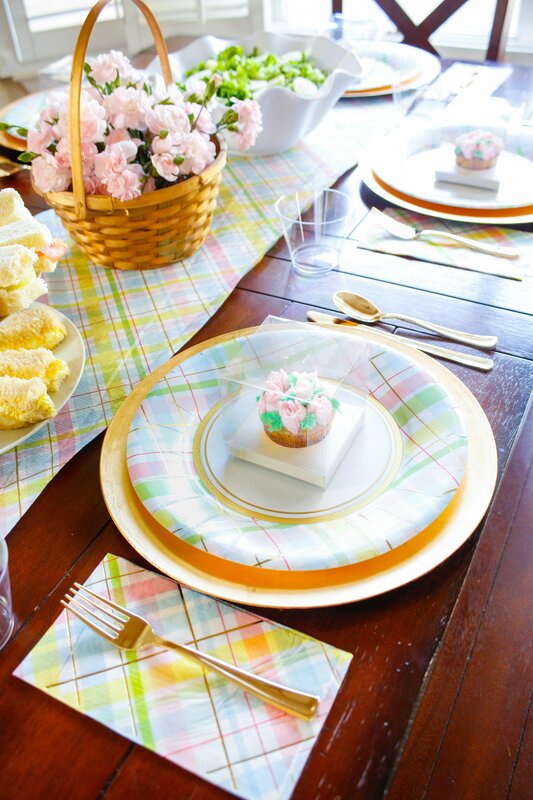 I love pastels all year round, but especially for Spring, and plaid is my weakness. 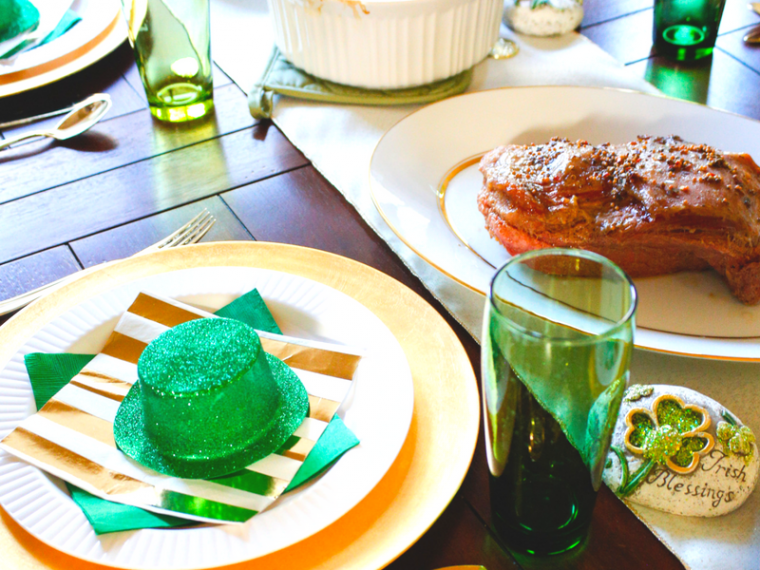 Since the plates have a pop of gold in them, I wanted to incorporate gold through out the party too. 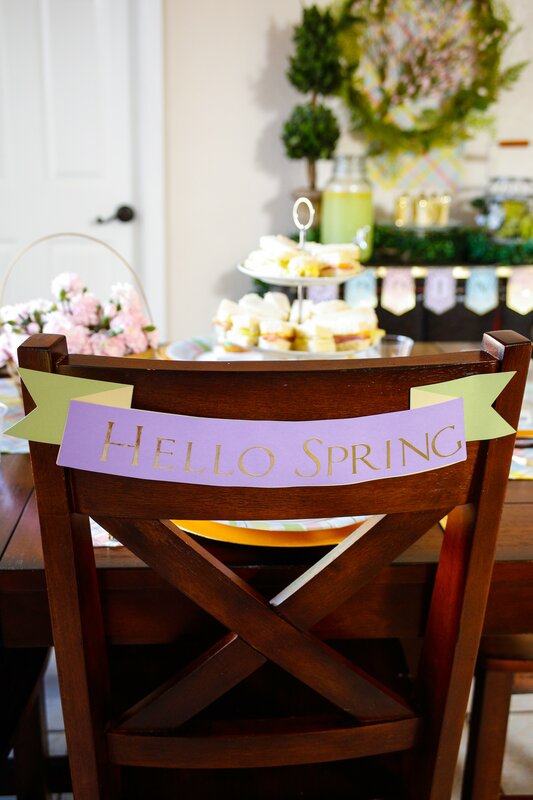 So, I added gold lettering to the banners I made with my Cricut Maker for the backs of my chairs. You can find this cut file in the Cricut Design Space here all ready to go. 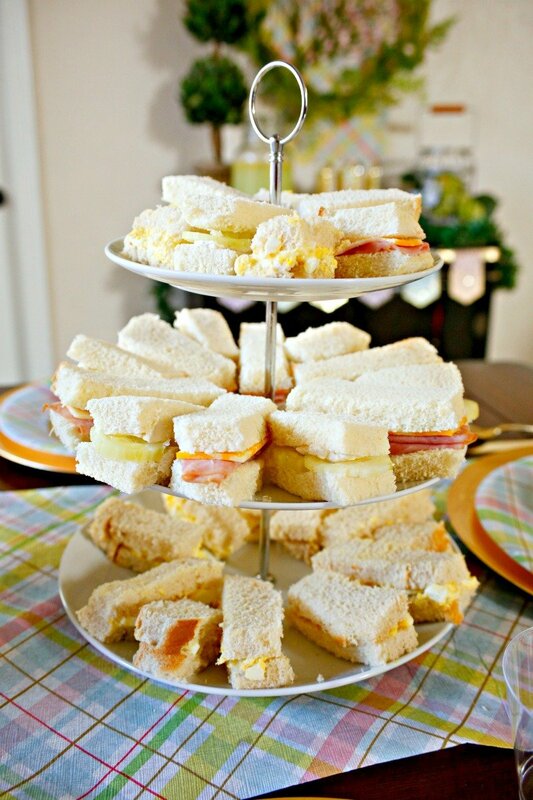 On the menu we had a variety of finger sandwiches. 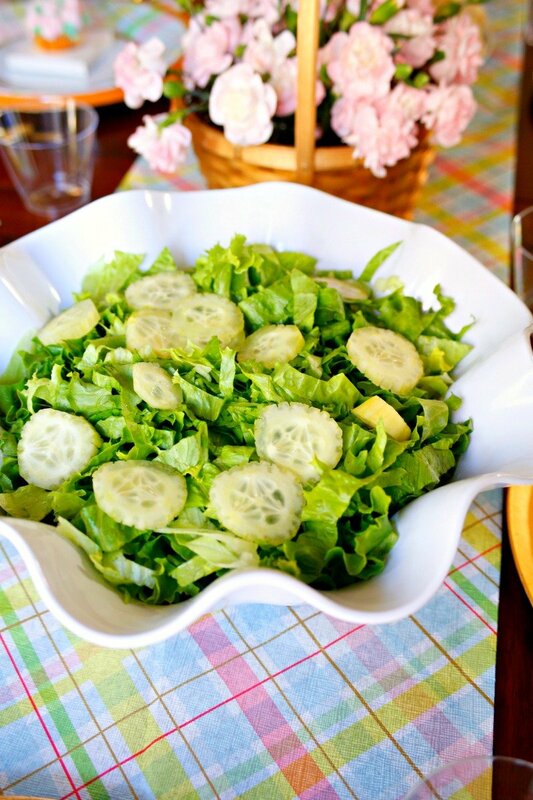 We also had a simple green salad. 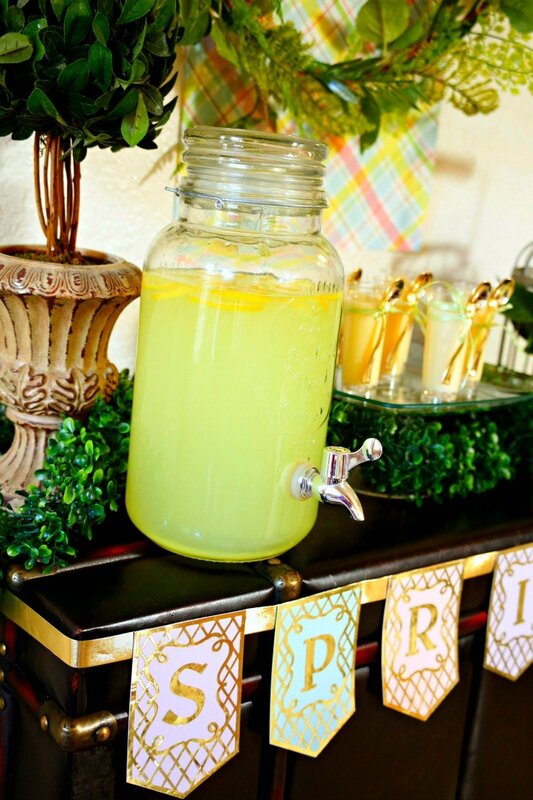 To drink, we had fresh lemonade - yum! 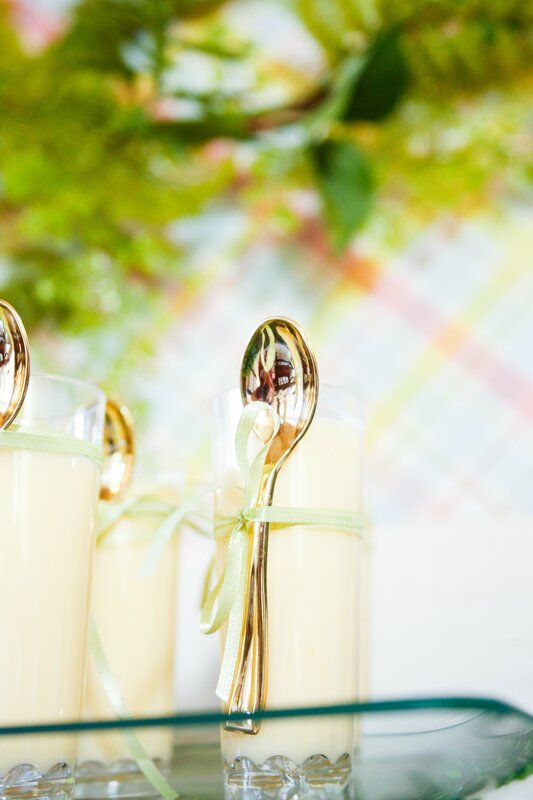 For dessert, I made one of my party standards, pudding shooters. 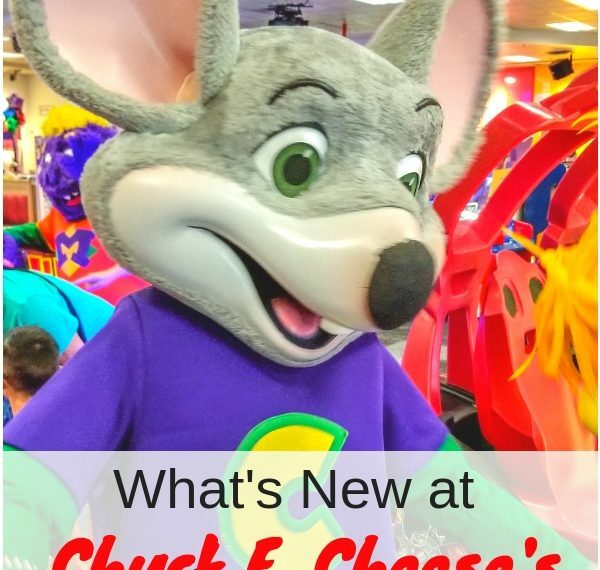 This time they were cheesecake flavored. Another dessert we enjoyed were cupcakes. 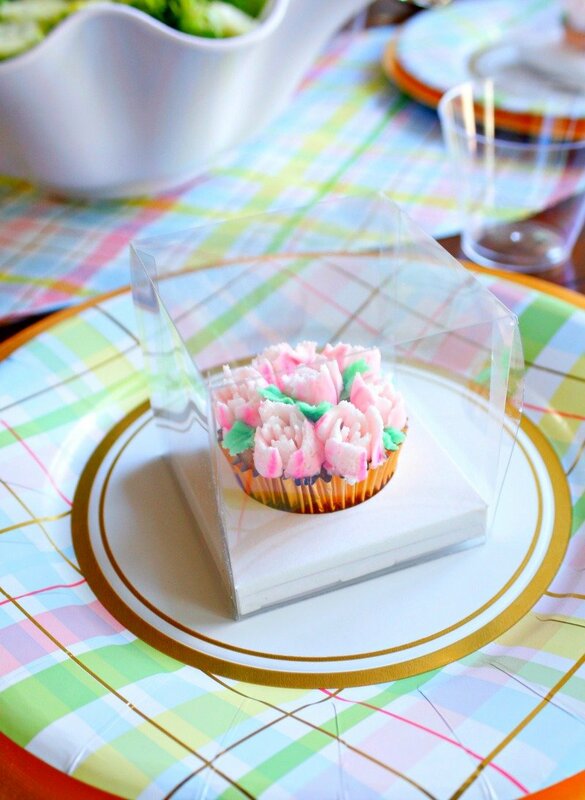 I found these beautiful cupcake boxes so I was able to use them as party favors too. I have the tutorial on how to decorate these cupcakes coming up soon too. 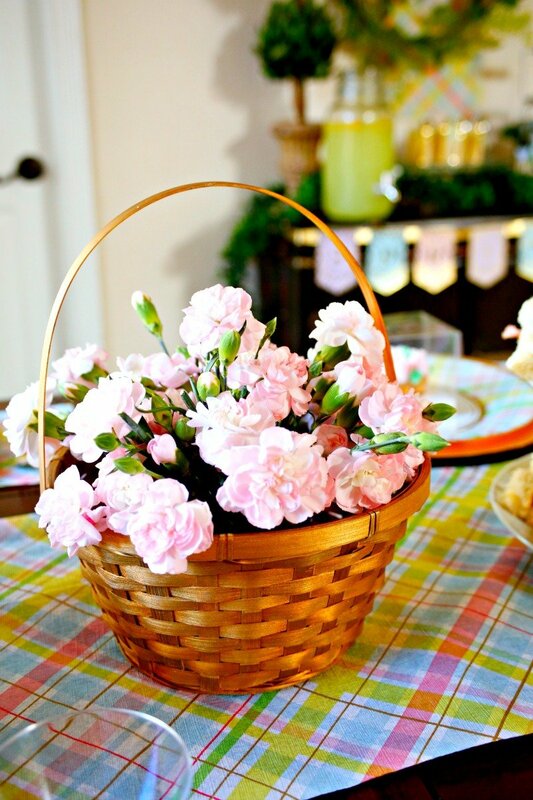 For the centerpiece, I used fresh flowers in a gold basket. 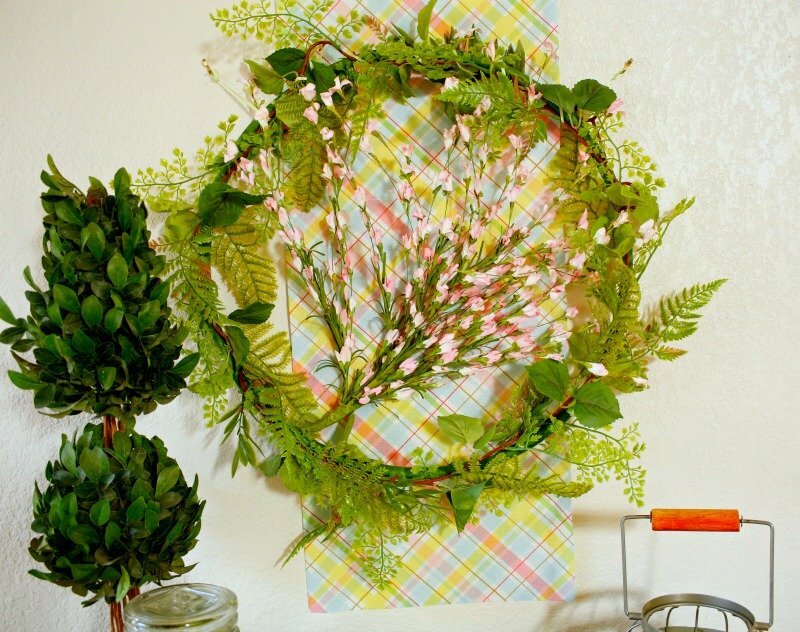 For more party decorations, I made this wreath. It's a hula hoop I wrapped in floral tape and added a garland too with a bunch of fake flowers in the middle. Did you like this party? Sign up for my email list to see more like it! Here are some more pictures of the fun. 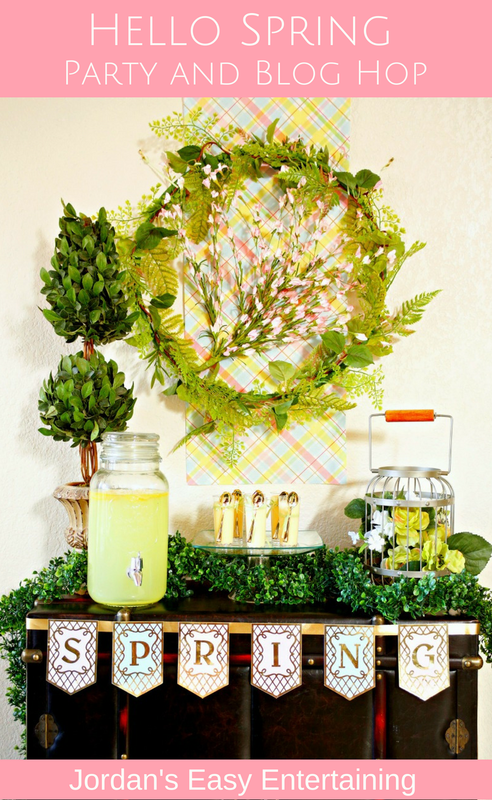 I hope you liked this party and are gearing up for Spring. 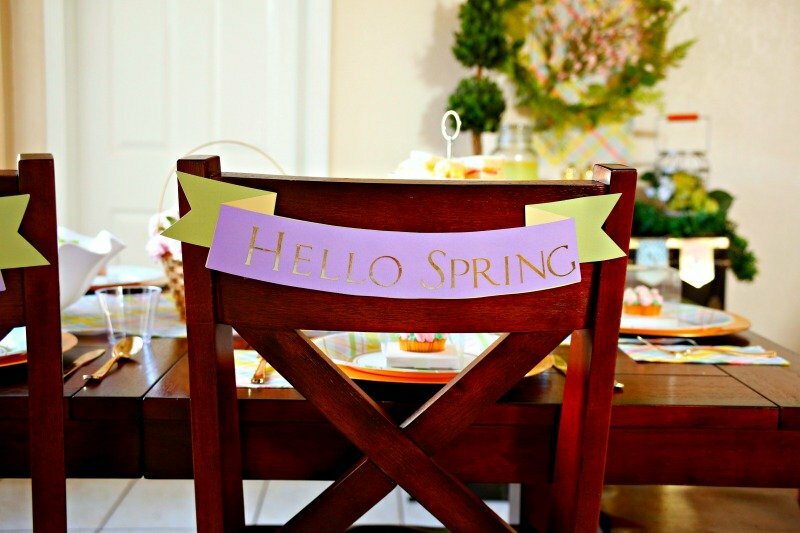 Make sure to hop over to the other Spring Party posts from my blogging friends. Love this!! 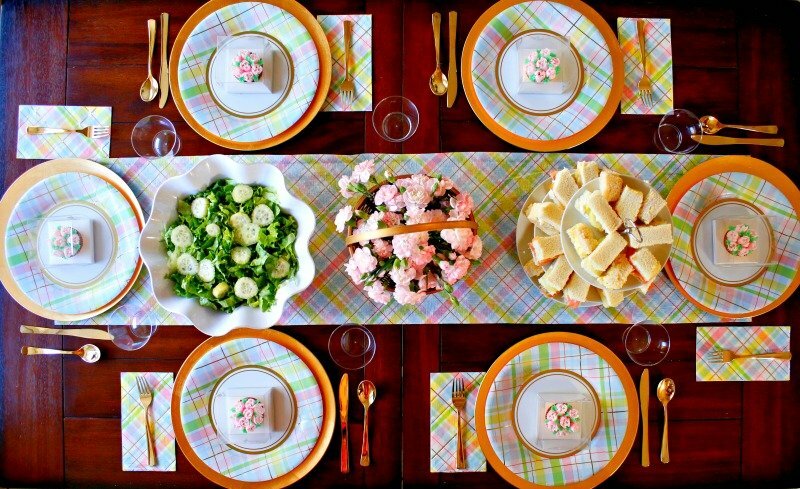 Your tablescape is just darling. 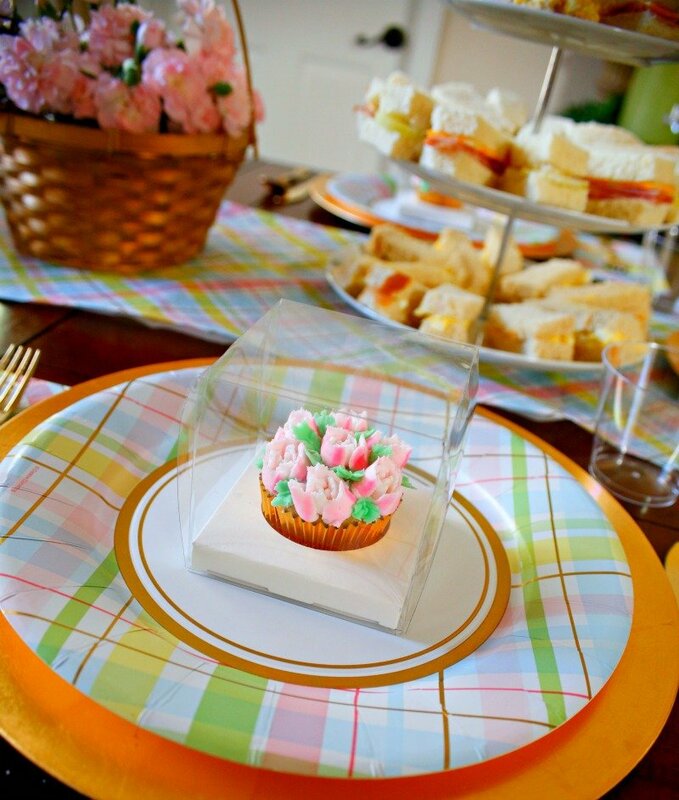 Those cupcake favors are very pretty. Gorgeous! But I especially love that greenery wreath. It’s so fresh and though it looks perfectly lush, it doesn’t look thick–like the first budding leaves of spring, not the thick greenery of summer. Perfect! I love that you got a lot of this at Walmart. It looks so classy, which isn’t necessarily something I associate with them. 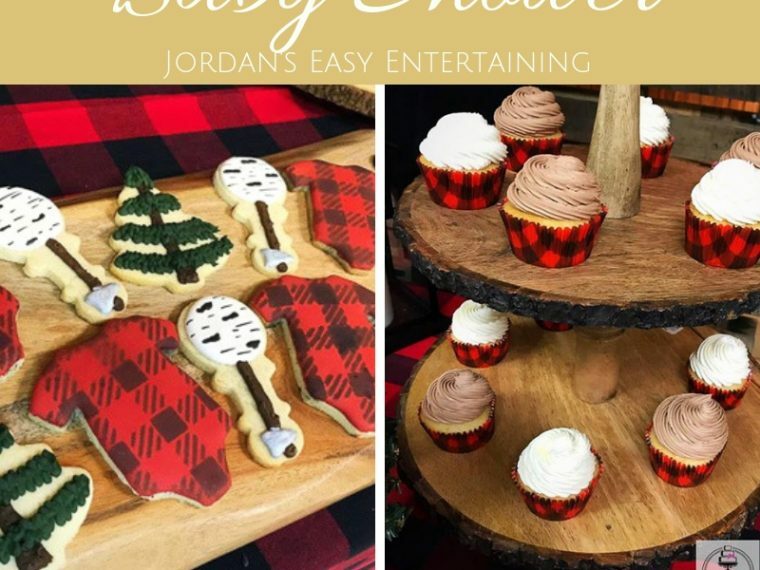 I think that speaks to how good you are at creating tablescapes! Just gorgeous Jordan! So many lovely details, your backdrop is beautiful, I love all the green! I LOVE this! 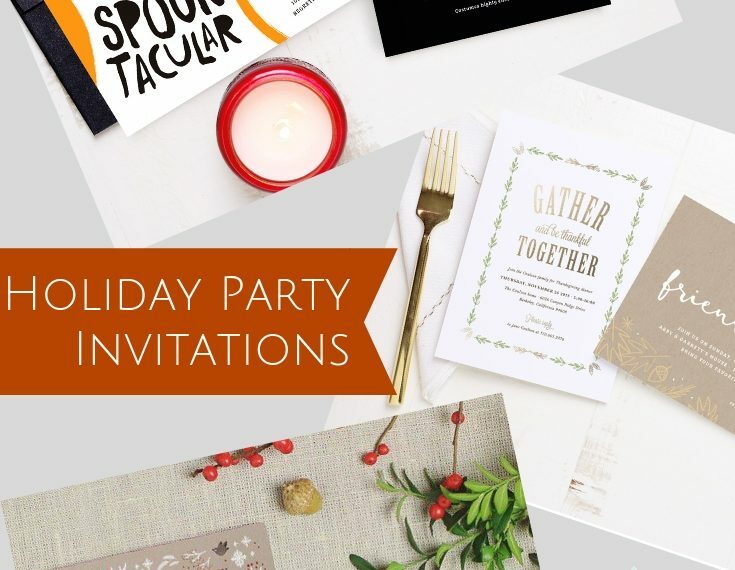 Your banners are simply gorgeous and the cupcakes in the boxes, the fern wreath, I could on. So many fun details! !